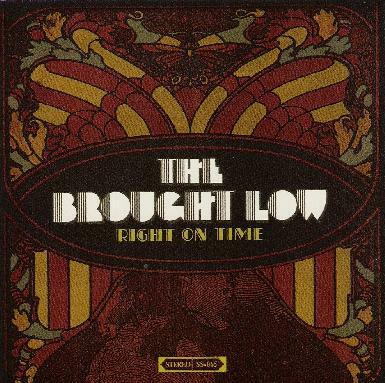 The Brought Low - "Right On Time"
Like Antler, this is the bands second release. They hail from the NE of the USA and play southern rock music. The Brought Low has a much more country flavour to them as well as authentic style vocals (real or not???). This is much more upbeat and nasty than the slick produced Antler. The CD begins with the excellent A Better Life. Hail Mary is a real sing-a-long track and not my favourite. This Ain't no Game is a more AC/DC meets southern rock style thing. Tell Me is even more AC/DC inspired. Dear Ohio is a slow foot stomping blues rock song that the band sort of jams out a bit. Too bad it did not really jam. Throne kicks it up into high gear and is probably the hardest hitting track on the CD. Blues for Cubby brings it up a level and is a real rocker. There's a Light is a sort of country styled ballad to end the CD. For more information you can visit The Brought Low web site at: http://www.broughtlow.com. Visit the Small Stone Records web site at: http://www.smallstone.com.